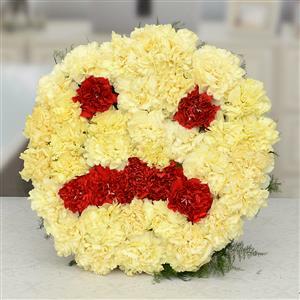 Send Sad Face Carnations Flower Arrangement to Chennai. Gifts to Chennai. Send Flowers to Chennai.